Miracle Ear can provide speakers for your function or event. We speak on a variety of topics related to hearing loss including hearing conservation, causation, and treatment. The REACH program is an educational topic designed to encompass hearing loss causes and promotes conservation of healthy hearing in adults through education. It also explains the testing process and selection/fitting of hearing aids. The Children’s Foundation explains Miracle Ear’s program for fitting of children with hearing aids at no cost to low income families. Our topics can also include video or dvd presentations. Please let us know if your facility is able to accommodate such. We can also provide training for your staff, we offer a one hour hearing aid care class for health care professionals. 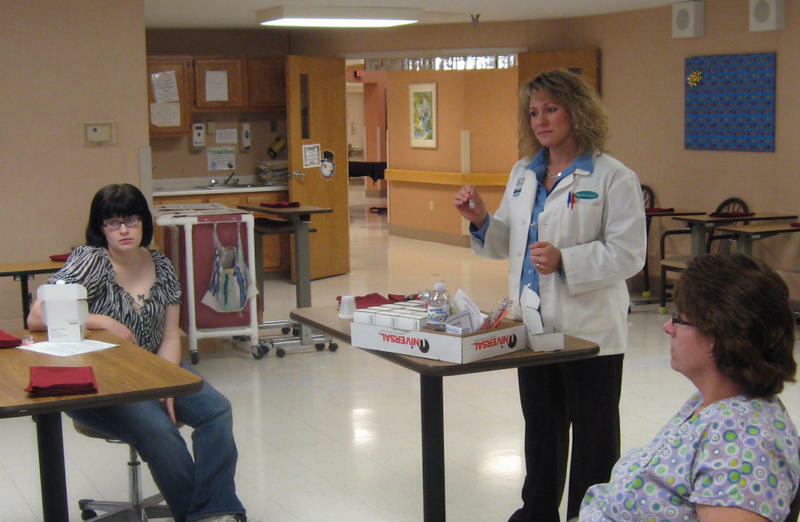 Instruction on care and use of hearing aids by a Missouri State Licensed Hearing Instrument Specialist. Hands on experience in cleaning hearing aids, checking battery function, and communication techniques for the hearing impaired. Certificate of completion awarded and free hearing aid support supplies awarded to each participant. Please call us to schedule a speaker for your area. How has our program been received?